Are you interested in completing an internship with Family Violence Prevention Services, the Battered Women and Children’s Shelter? Internships help give you practical field work experience to prepare you in building your future. Apply today! 2. Upon the receipt of your letter of interest and resume an application packet will be sent to. Email the completed packet to the Director of Clinical Services. 3. A thorough review of your completed application packet will be conducted. Upon acceptance your application will be forwarded to one or more FVPS Program Directors for review. 4. Program Director/s will arrange an interview with you if they desire to move forward in the application process. 5. A Criminal History Background Check will be issued for any intern applicant prior to any offer of internship. All Background Checks need to be successful for any engagement with our agency. 6. Students accepted into the practicum or internship program will receive orientation and training, prior to their start of direct client contact, from the Director of the Program they will be interning with. Students are strongly encouraged to contact our site at least 2 months prior to their desired start date. 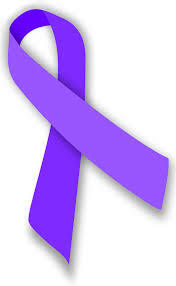 Family Violence Prevention Services provides counseling and supportive services to victim/survivors of domestic violence. Our on-site supervision provides graduate interns with necessary professional support and knowledge needed for effective work with our client population. Graduate interns will have the opportunity to develop a trauma sensitive counseling style through the professional development they experience with FVPS. There are no paid practicum or internship positions. • Adult Counseling Services for victims and survivors of domestic violence. Hours of operation: Monday-Thursday 9 a.m. -7 p.m., Friday 9a.m.-3 p.m. at the Broadway location. • Child Counseling Services occur at two locations; The Battered Women and Children’s Shelter and our Broadway Office. Hours of operation: Monday – Friday 9 a.m.-7 p.m.
• Celebrating Families. Psycho-educational group therapy with families referred from CPS and/or the Court. Hours of operation: Monday – Thursday: 3 p.m.-8:30 p.m. Additional hours of program participation may be available. • Community Based Counseling Program at Haven for Hope and The Battered Women and Children’s Shelter providing individual and group counseling to women, men, children and families. Hours of operation: Monday – Thursday 9 a.m.-6 p.m., Friday: 9 a.m.-4 p.m. Weekend and evening hours are available with permission of the Director of Community Based Counseling. • Violence Intervention Program for male and female perpetrators of domestic violence. Hours of operation: Monday – Thursday 10 a.m.-8p.m., Saturdays 8 a.m.-1 p.m. Additional hours of program participation may be available. We see clients from all walks of life and with a variety of needs. Most of our clients have experienced childhood and/or adult trauma. Students will have the opportunity to work with adults, teens, and children in both individual and group counseling. Students will develop a client case load with the support of their on-site supervisor and program counselors. Each student is regarded with the same respect, professionalism and consideration as staff; consequently, this is expected in return. Students become part of the talented and diverse team/program they are assigned to and are invited to attend weekly case staff meetings. Students are required to attend weekly supervision meetings with their on-site supervisor and to participate in both direct client services and administrative services during their internship. Program Directors will notify interns of any required texts.